Located north of Downtown Omaha along the Missouri River, the Winspear Triangle was a slice of land surrounded by speculation, formed by controversy, and fiscally flirted with for decades. James Harrison Winspear (1843-1909) was a politician and businessman whose actions forever changed part of the North Omaha Bottoms. Formed by the river through accretion, no one really owned the land that simply appeared. The Winspear Triangle began north of the American Smelting Company factory on the river, and the city pumping station at Burt Street. It was southwest of the East Omaha Bridge, west of the North Omaha Bottoms, and extended from Locust south to Seward Street, and east from North 5th Street to the river. This is a circa 1910s pic of the original Omaha water works, which were located south of the Winspear Triangle at N. 6th and Burt Streets. A politician and businessman named James Harrison Winspear secured 20 acres of land for the City of Omaha in 1895, despite the Illinois Central Railroad claiming the land. That year, Winspear took a crew of City workers and ripped down the railroad’s fence, then put up a new fence for the City. Sitting just north of the Burt Street Water Works, Winspear contended the City had to protect the land and had the rights to it because of that. This is the Winspear Triangle shown in a 1918 atlas of the City of Omaha. Notice the converging railroad tracks owned by the Omaha Bridge and Railway Company, and the nearby UP shops. Thanks to Michele Wyman for locating this Sanborn Fire Insurance map. The City of Omaha suddenly owned a chunk of land called the Winspear Triangle. Long intended to be the Port of Omaha, it was lined with landing places for river boats and barges, and had rail yards and warehouses for freight. There were stockyards built there and then abandoned, and dreams of running a bridge to the land from Council Bluffs. The Winspear Triangle became a hot property in 1898. That year, a representative of the Detroit Syndicate hustled a sale of land north of Winspear in exchange for that land and a ton of cash, all to facilitate the entry of the Illinois Central Railroad into Omaha on a new bridge across the Missouri River. 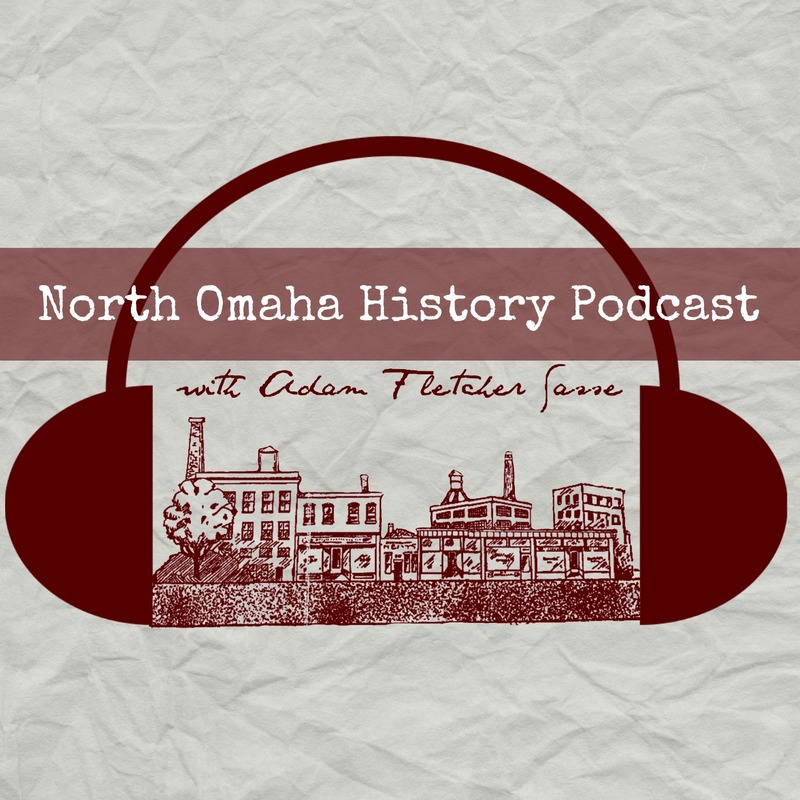 The East Omaha Land company had already graded the streets and landed the big Omaha Box Company and Carter White Lead Company factories in East Omaha. Those companies looked forward to the new distribution opportunities from the railroad, and eventually the bridge was built. Winspear wasn’t fully traded off though, and the area kept hanging over Omaha’s head. “Omaha’s Famous Winspear Triangle Where Primitive Souls Live in Primitive Homes,” a heading from the July 7, 1918 edition of The Omaha Sunday Bee. It was easy enough for squatters to move into Winspear. According to newspaper accounts, they did work to build up the land. Starting in the 1880s there were constant reports in the newspapers about the area being flooded and residents being evacuated. Since there were consecutive occurrences of the same report, its easy to discern that people kept moving back to their homes, or rebuilding as needed. Because of its proximity to the Burt Street Pumping Station, cattle and horses carcasses appearing in the Winspear Triangle were regularly monitored for their effect on drinking water. Typhoid fever was constantly monitored for until the City stopped the dumping of carcasses there in the 1910s. Located approximately where the Gallup campus is now, this 1918 plan put factories, a stockyard and more right in the Winspear Triangle on the river at approximately North 8th and Izard Streets. In 1918, the City Council again considered developing Winspear Triangle as boat docks. They envisioned railroads and streetcar routes to service the area, which could be packed with a new passenger station and more centralized terminal. However, none of that came to fruition. This is the approximate location of Winspear Triangle from Google Earth in 2017. There were homes within the Winspear Triangle as late as the 1930s, and the triangle’s ownership was disputed up through the 1950s. Today, Gallup is located in the former Winspear Triangle.